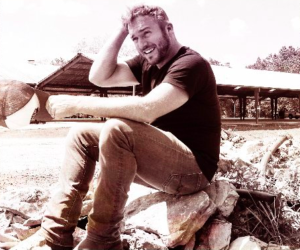 Will this be the first hit for Logan Mize? Logan Mize is still looking for that elusive first hit. He had been signed to Arista Nashville, which has been a staple since the early ’90s with artists like Alan Jackson, Brooks & Dunn and now Carrie Underwood on the roster. They’ve had a good record of launching new artists. But it didn’t work with Logan and that’s just the way it goes. It looks like Logan is going the independent route this time. We recently heard one of his new songs and he has another one ready for radio…if they’re willing to play it. This is a pretty cool song. It’s the story of what seems to be a couple that is kind of working through their lives and the love they have for each other. Their life isn’t always pretty. There are struggles in most areas including the way they love each other. That’s the way life is for many folks out there. Life is a grind. It’s a struggle. It’s not fair. That’s just how it goes, but even though it’s not pretty this guy is coming out with a positive attitude. He has the prettiest girl in the world and no matter what’s going on he knows that he’s got it really good. I like that attitude in life. And the song has a good flow. I like the melody and the style. It’s kind of low key and easy to groove along with. I could see hearing this thing on radio.